What an amazing album this is. Crazy effects, nice tunes. Just awesome to listen to! Pressing is great to! It's possible to order this fantastic CD directly through record company Groove Unlimited in Holland. Go to http://www.grooveunlimited.nl/. I agree with audioman. The Audio Works CD sounds great and authentic. More people should be aware of this record, but it's also is nice to own a special record that isn't well known. And I think it’s pretty cool that he only made one record. The 2006 release of the album is "remastered" very poorly, with harsh mid and high frequencies. I was very disappointed when I received that far from cheap CD. It's yet another one of the many albums that originally sounded perfect as they were and should never have been touched by someone who got the strange idea of "enhancing" what's already perfect. Since then, I've found the original 1993 CD release which sounds absolutely perfect, unlike some very dubious claims that it sounds bad. I have the original LP release, the terribly "remastered" CD release, and the original CD release. The original CD sounds very much like the LP (similar frequency balance), but significantly better, without the lack clarity and artifacts. As already mentioned, this is an important synth music masterpiece. It's just a shame that it's not available for purchase in any decent form nowadays. Mates! Rumour said is the resissue is remastered. Please justify if the reissue is REMASTERED?? In 1981, the world of electronic music (and further) was enriched with an album by the “big synthman from Holland”, Johan Timman. This experienced musician, composer and sound engineer created an album that took the listener on a “Trip Into The Body”. Timman did that with all the goodies that synth manufacturer Moog could provide him with. Some were even custom engineered for Johan by Moog. The album shows a fresh new look on synthesizer music: accessible, melodically, symphonic and very well played and crafted. It was this album that received many positive reviews when it came out. I'm alive and still going strong. The past 25 years I've done a lot with my MOOG's, especially research in the field of sound. This story will be too long to explain here, probably I shall tell more about it on my URL www.timmany.com. Beside this scientifically research I also made and composed music for films, commercials and other productions. Last year, inspired by my research how our brain and consciousness reacts by listening (aware or unaware) to sound and music, I decided to make a new album "The Cerebral Symphony". So if you are still interested in Johan Timman, please visit my site to stay informed about my doings. 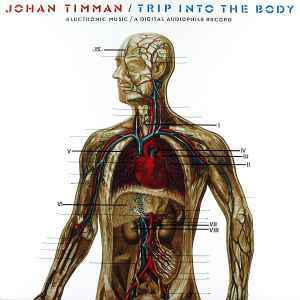 I am planning to complete my new album during august 2006, realizing myself that after 25 years "Trip Into The Body" is still getting your attention, even worldwide. You are welcome to react in my Guestbook, I shall be obliged to read it. Take Care, Johan Timman.